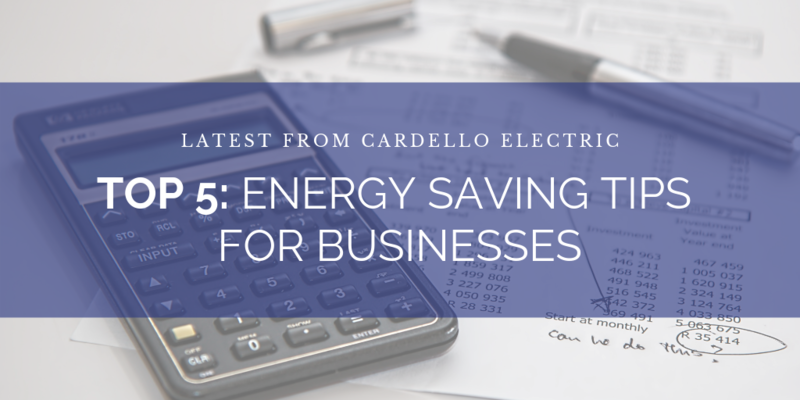 Check out our ways to help your business save energy and more importantly, money! Whether it’s lights, small appliances or computers, turn it off. Some lights and appliances are necessary to be left on 24 hours a day, but for the majority of spaces this is not needed. Turn off lights in areas that are not being used and more importantly when staff leave for the night. For spaces that are used occasionally or only during a small part of the day, consider installing occupancy sensors that turn lights on when the rooms are in-use and off after once they are vacated. Encourage staff to turn off computers and appliances each night and especially before they leave for the weekend. Though most computers have a “sleep” mode, turning them off at night will further increase your savings. Are you still using incandescent or fluorescent light bulbs? Not only do these bulbs utilize more energy to operate, they also end up costing your more in maintenance. LEDs last longer, use less energy, create less heat, and come in a variety of color temperatures and brightnesses to give you the perfect light for every application. We recommend brands like TCP, Philips, Satco, and RAB. Your business may also be eligible to receive rebates on select energy efficient bulbs too! Stop into your local Cardello Electric counter to learn more. You don’t need to heat or cool a space after everyone has gone home for the night or weekend. Installing a programmable or smart thermostat can create huge energy savings especially for workplaces where there are set office hours. When purchasing or leasing office appliances like printers, copiers, computer monitors, etc. check to see if they are ENERGYSTAR-rated. An ENERGYSTAR-rated product is independently certified to save energy without sacrificing features or functionality. Brainstorm with your employees other strategic ways to save on energy consumption. Not only will this help you get a better understanding of areas where more or less energy is needed, it will help the staff feel more involved in the decision making and in turn more likely to implement changes. Visit your local Cardello Electric counter to schedule an Energy Audit. During the audit, we will inspect and review your current energy usage and how efficiently that energy is being used. We’ll offer helpful advice and develop a customized proposal with energy saving products.